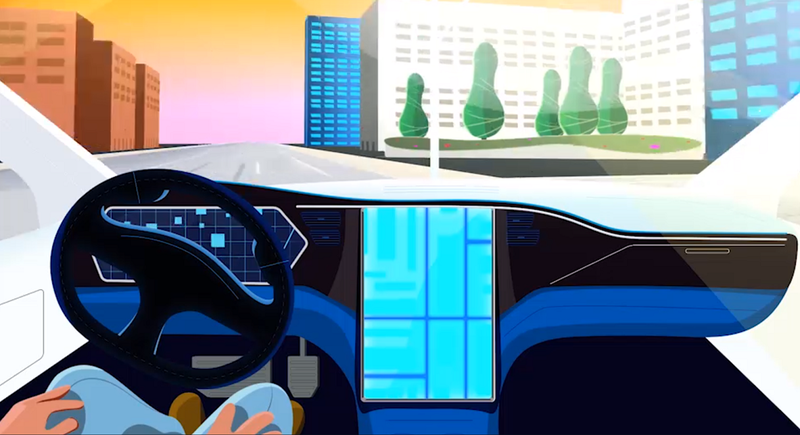 Some people think autonomous vehicles (AVs) must be nearly flawless before humans take their hands off the wheel. But RAND research shows that putting AVs on the road before they’re perfect improves the technology more quickly—and could save hundreds of thousands of lives over time. Michael DeKort is an engineer who is the Founder of Professionals for Safe and Responsible Autonomous Mobility. He’s also a member of the SAE On-Road Autonomous Driving Verification and Validation Task Force and a vocal critic of Tesla and Elon Musk’s approach to implementing autonomous vehicles. A month before the Rand article (linked above) was published he and I had a conversation on this very subject. Here is one of my comments to him. Thanks for reaching out. I have read some of your articles and while I am not a technical expert, I believe I understand the gist of your argument. Before I give my opinion, it might be helpful to provide you with a little background about my perspective. Yes, I am the president of a large Tesla enthusiasts club in Florida and not surprisingly I am an avid supporter of what Elon Musk is attempting to do in a number of areas, including autonomous vehicles. Paraphrasing the Chinese proverb, we Floridians in particular happen to live in interesting times with regard to the implementation of AV. I have never thought of Florida legislators and transportation officials as being progressive in their outlook. However, a few years ago I had the opportunity to hear one of our Secretaries of Transportation speaking on the subject of AV and I was frankly surprised to hear how much they are promoting its development. He went on to candidly state that due to the aging driving public that FDOT had essentially failed in its basic mission to reduce highway accidents and fatalities and they viewed AV as a means of reversing that trend. Likewise, the Chairman of the Florida Senate Transportation Committee and the Governor are also big proponents of AV. As a result, Florida has passed AV legislation that is the least restrictive in the country. I view that as a good thing in accelerating the development of AV, particularly for Tesla owners in Florida. Last year, immediately following the death of Joshua Brown in that terrible crash here in Florida, I was interviewed by a couple of national news reporters. They wanted to know if I had changed my attitude regarding Tesla’s Autopilot. I told them no, that in fact I had a Model 3 on order with Autopilot and I had no intention of cancelling that order. From early reports it appeared that Autopilot had encountered a situation in which it couldn’t “see” the truck. I told the reporters that even conceding that specific situation in which an engaged human would have done better than Autopilot, in terms of overall safety we need to consider the totality of driving situations. When using Autopilot as a driving assist feature, in my opinion there were going to be more situations whereby the system sees better, reacts faster, steers more accurately such that, in totality a Tesla with Autopilot engaged in conjunction with an engaged driver, is going to be safer than if it were turned off. As you know, months later, after reviewing the statistics, the NHTSA reached the same conclusion. I also told the reporters that Joshua was unfortunately too much of a Tesla enthusiast and was misguided in his trust of the technology. I explained that despite the questionable selection of the name, “Autopilot”, it definitely wasn’t self-driving and Joshua made a fatal mistake in treating it as if it were a fully autonomous vehicle. I said that a better name for the feature would have been “Driver Assist”. Both the NHTSA and the NTSB also agreed with my initial assessment that the driver was at fault in his unfounded, over-confidence in the level of installed technology. After recently reading the NTSB report, I also agree with them that Tesla’s implementation of Autopilot, with limited driver warnings, played a major factor in the fatality. Earlier this year I traded my four-year-old Tesla in for a new model with Autopilot. I also paid the additional $8,000 for the hardware and the eventual software for promised full autonomy. I have no illusions about the rudimentary current version of Autopilot. I use it exclusively in highway situations with no intersections. It excels in stop-and-go traffic. I don’t use it on exit ramps, or on secondary roads. Last week while my wife and I were driving on the highway she asked me, “Is she [meaning Autopilot] driving?” My response was, “No, the three of us are driving.” What I meant was that before I upgraded my car to Autopilot, driving was a collaboration between my wife and myself. We are both over 70 and now at our stage of life it frankly helps to have more than one set of eyes on the road. So even before Autopilot I was already driving in Shadow Mode with my wife providing “Driver Assist”. Returning to your basic question, even with the current basic version of the Autopilot software, I view it as a valuable safety feature when used as it was intended and for certain currently limited driving situations (highways for now). Inherent in this view is that the driver must take full responsibility for his/her actions and be fully engaged in their driving just as if Autopilot weren’t engaged. Some may say, “Well if I can’t relax behind the wheel what is the point of engaging Autopilot?” The answer is simple, there are going to be driving situations, especially for older drivers, whereby Autopilot is going to react faster than a human and mitigate an accident. Some may say, “But won’t some people misuse the feature or fall asleep and die in fatal crashes along with their children?” Yes, absolutely. We can’t help that. The relevant question is, “When applied to the entire population of drivers, statistically is it safer to engage Autopilot or not? Experts can make recommendations to our legislators as to what that threshold should be, 2 times safer, 5 times safer, 10 times safer? However, everyone should recognize that many adults and children will die while we wait to implement “perfect” solutions. Regarding AI Simulations versus Shadow Driving versus Test Tracks, I don’t view this as a pick-one-approach situation. I believe that multiple approaches should be used. As a layperson I am not qualified to speak to the ideal mix, but I believe that it is likely, especially here in Florida, that more lives will be lost by unduly deferring the implementation of AI by relying solely on simulations. Help stop Congress from trying to kill the electric car! Just this morning, Chairman Brady of the House Ways and Means Committee introduced the Tax Cuts and Jobs Act, H.R.1. The bill calls for the repeal of the $7,500 federal electric vehicle (EV) tax credit, effective December 31, 2017. We need you to send a message to your Representative and Senators right now and tell them to leave the $7,500 tax credit alone. David Link, of the Village of La Belle, owns a 2013 Tesla S P-85. Link, along with his wife, Angelia, are members of the Florida Tesla Enthusiasts club. The Links said they are in the process of buying two more Tesla electric vehicles. 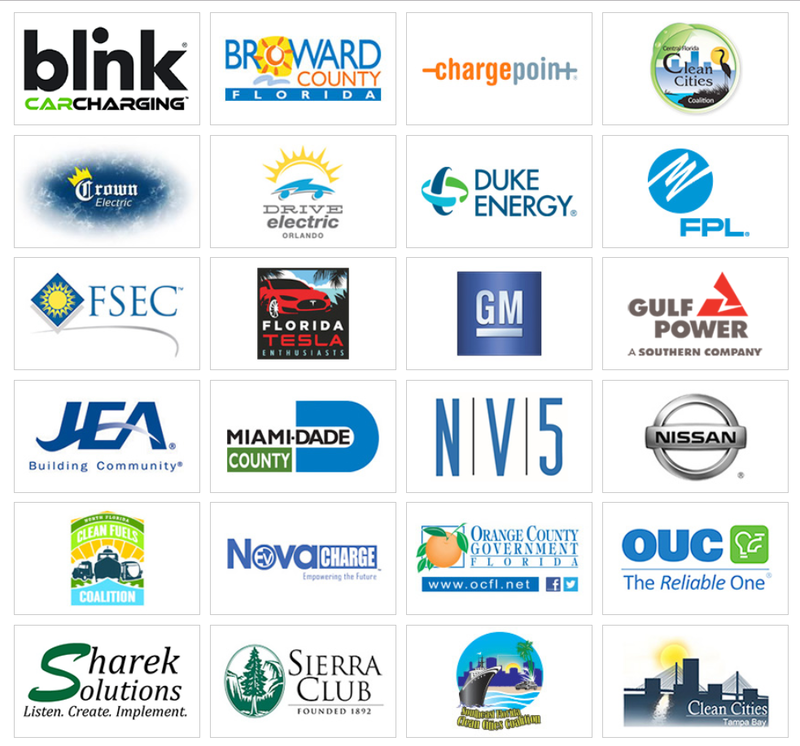 Above is a link to a 3 hour 17 minute video of the EV Charging Roundtable discussion to the Florida Public Service Commission. It's purpose was to discuss the potential effects of public and privately-owned electric vehicle charging on the state’s electric grid. Participating were representatives from Tesla, GM, electric utilities, companies providing charging equipment and Drive Electric Florida. 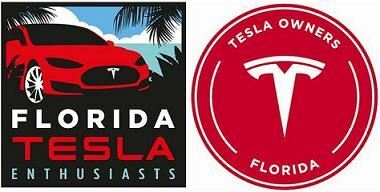 Our club, Florida Tesla Enthusiasts, is a voting member of Drive Electric Florida and at about 40 minutes into the video the Chairman of the Commission asked about our club. At about 1 hour 17 minutes into the video Tesla made a presentation. I know that not many of us have more than 3 hours to spare on this type of topic, but it illustrates the FPSC's appreciation of the inevitability of the exponential growth of EVs and their desire to proactively plan for that load growth on the Florida electric grids. Members of the Tesla Motors Club have recently posted photos of the Supercharger equipment being installed in the parking lot of Hammock Landing. This photo shows the conduits going in for the Supercharger cabinets and the switchgear. This photo show the conduits going in for the 8 Supercharger charging terminals. Three of the eight charging terminals, switch gear loaded on flatbed, cinder block enclosure on right to house Supercharger cabinets and switch gear. Construction coming along nicely with 8 charging terminals installed. Four Supercharger cabinets and two switch gear cabinets installed in partially constructed cinder block enclosure. It appears that the Tesla contractor has completed their work and that all that remains is to install the utility power transformer on the concrete pad and install the meter in the meter cabinet. This Supercharger Station is now operational. To celebrate the opening of the Sarasota Supercharger Station we had a club meet-up and dinner at the nearby Stonewood Grill & Tavern. This Supercharger Station, with 20 charging stalls is not only the largest in Florida, it is the largest on the east coast of the USA. You would have to travel to the Albany, New York area to find a similar station this size. This event, which was open to the public, was originally scheduled earlier in the month, but due to Hurricane Irma we re-scheduled it to September 22nd. We had an excellent turnout and pretty much filled the restaurant's private room. Here's some photos of our group. Welcome to Sarasota, an EV-friendly community. Welcome to Sarasota, and EV-friendly community! So far, this is the largest Supercharger Station on the east coast of the USA. You would have to travel up to the Albany, NY area to find another this size. Tesla updated their "Coming Soon" Supercharger map and it now lists 17 new Supercharger Stations for 2018 for Florida. 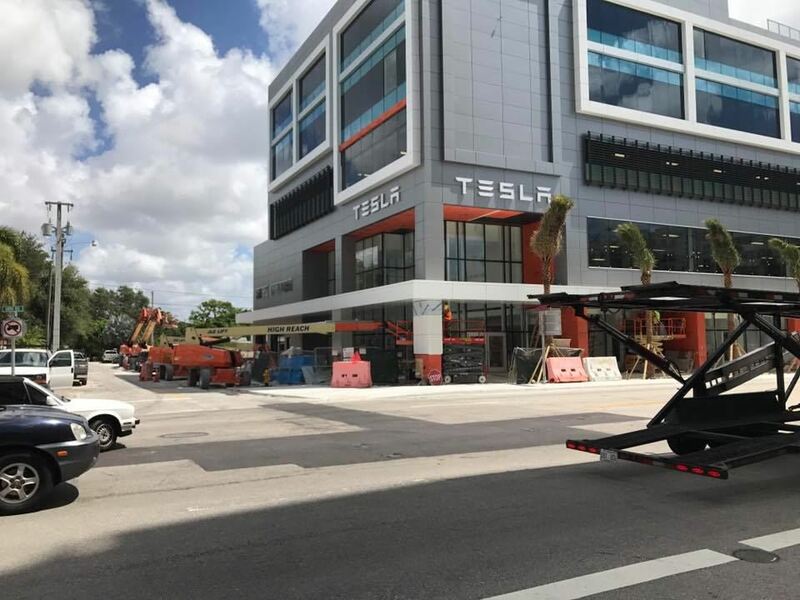 We are virtually certain that the Miami, FL - Coral Gables Supercharger for 2018 is currently being installed in the parking lot at the new Coral Gables Service Center under construction at 3851 Bird Road, Coral Gables. 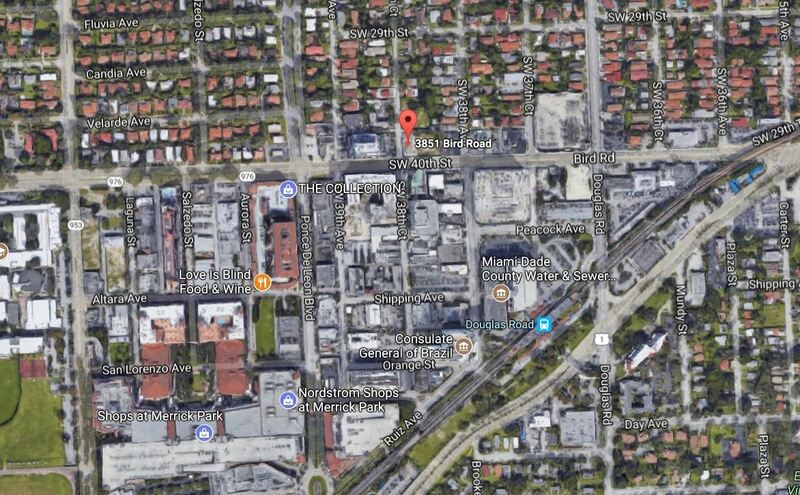 Coral Gables Service Center under construction will have a Supercharger Station collocated there in the parking lot. It has been reported in the media that the West Melbourne Supercharger for 2017 will be going in the The Hammock Landing shopping center, located west of Interstate 95 on the north side of Palm Bay Road. We believe that the Aventura Supercharger for 2017 will be going in the new Parking Garage that was recently built as part of the new expansion at Aventura Mall. Rendering of new expansion of Aventura Mall. We believe that a Supercharger Station may be located in the parking garage on the right. 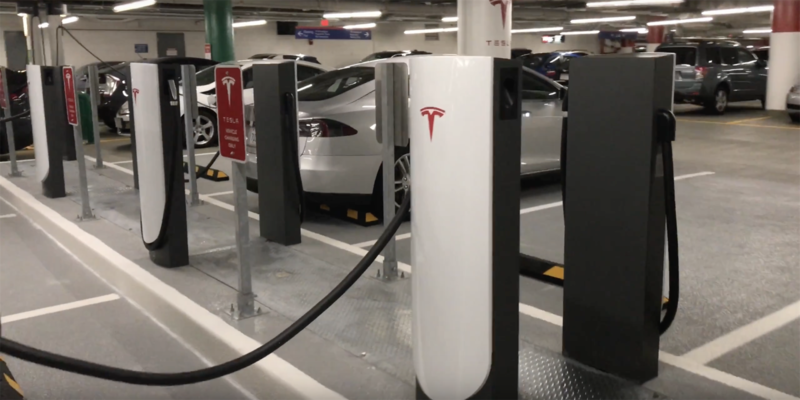 The Altamonte Springs Growth Management Director confirms that the "Coming Soon" Altamonte Springs Supercharger Station for 2017 was requested by Tesla to be located in the Renaissance Centre shopping center near Whole Foods at SR 436 & E. Altamonte Dr., Altamonte Springs. However, while expected to be approved, it hasn't been approved yet due to landscaping delay. We suspect that some of these new locations will be expansions of existing Supercharger Stations. The new Ft. Myers, West Palm Beach and Plantation entries on the list are likely candidates for expansion of existing locations. A number of the "Coming Soon" Supercharger Stations appear to be located in urban settings. 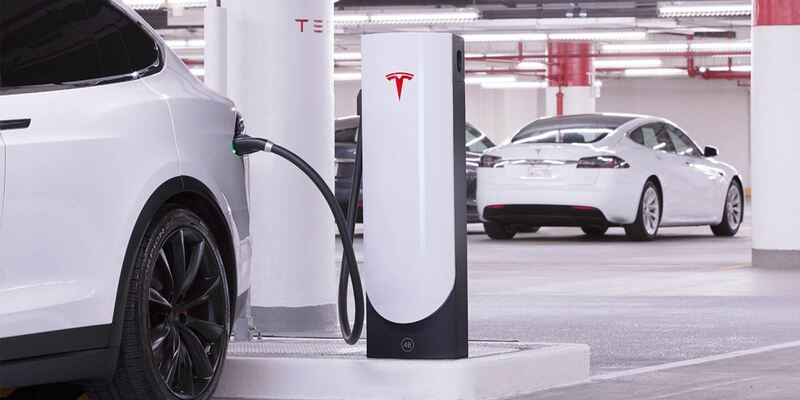 Tesla has just come out with a new Urban type Supercharger design. They have a new post design that occupies less space and is easier to install, making them ideal for dense, highly populated areas. To increase efficiency and support a high volume of cars, these Superchargers have a new architecture that delivers a rapid 72 kilowatts of dedicated power to each car. Please keep on the look-out for signs of construction of these new "Coming Soon" locations. If you see a likely candidate for a Supercharger at these locations, please takes some photos and send them to me at lfchanin@verizon.net. One of our club members has discovered the location of the "Coming Soon: "Miami" Service Center at 3851 Bird Road, Coral Gables. 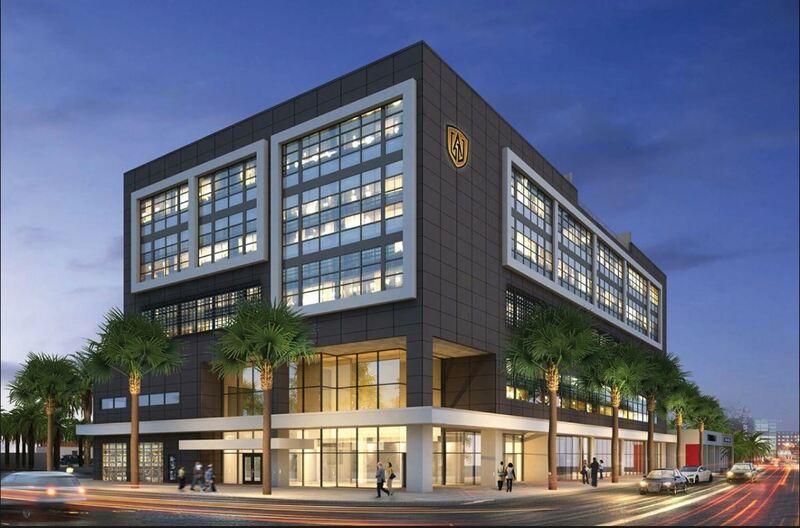 This location is the site of the new Gables Auto Vault, which provides luxury car storage. We believe that the Tesla Service Center will occupy the first two floors of the structure, with possible Tesla vehicle storage on the third floor.